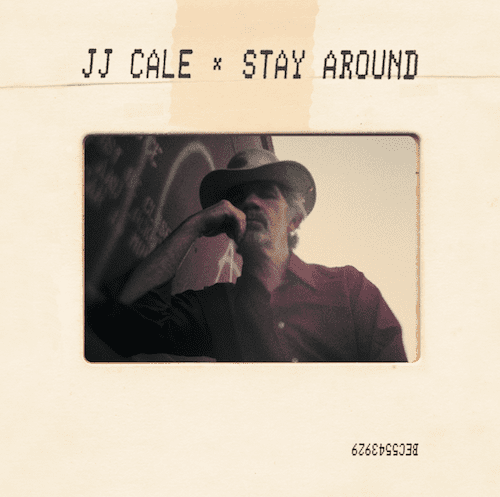 31 January 2019 (Toronto, ON) - Because Music/Universal Music Canada, the country’s leading music company, announces Stay Around, the first posthumous release of works by beloved songwriter, guitarist, and singer JJ Cale. The album, compiled by those closest to him—his widow, musician Christine Lakeland Cale, and friend and longtime manager, Mike Kappus, will be released April 26. Because Music today released the official video for the album’s debut single, “Chasing You” featuring footage of Cale touring (which he seldom did) and performing across America. The video is a breezily bittersweet glimpse at the life of the artist who died in 2013 and left behind a vital, resounding legacy. Cale spent his career as an “under-the-radar-giant” (The New York Times) and influenced musicians as wide ranging as Neil Young (who wrote in his autobiography, “J. J.’s guitar playing is a huge influence on me. His touch is unspeakable. I am stunned by it.”); Beck (who, speaking to the L.A. Times, referred to his “effortlessness…restraint and underplaying” as “very powerful”); Eric Clapton (who, in his autobiography, called Cale “one of the most important artists in the history of rock, quietly representing the greatest asset his country has ever had”); and so many more. JJ Cale cut his teeth during the ‘50s, playing guitar in bars in Oklahoma alongside fellow natives David Gates of Bread and Leon Russell, and is credited as one of the key figures in creating the laid-back “Tulsa sound.” He managed to gather a loyal fan following and the admiration of some of the most revered rock musicians while—in the unwavering desire to lead a normal life—eluding fame, and it was via other artists recording and performing his songs that he became best known. Eric Clapton recorded “After Midnight”, “Cocaine”, and several other Cale originals, his admiration culminating with the pair’s Road To Escondido collaboration in 2006, which earned Cale his first GRAMMY, for Best Contemporary Blues Album, and his first RIAA Certified Gold Award.